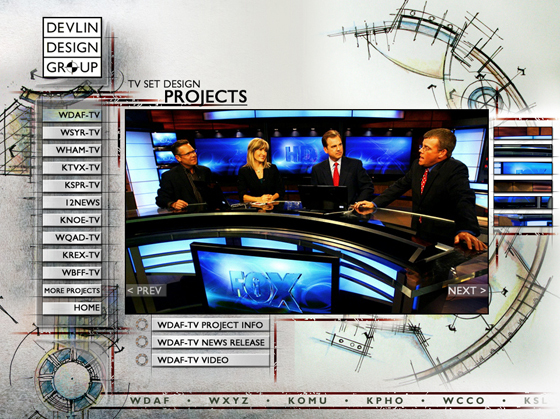 Every broadcast pro knows the incredible feeling of working with a brand new set. New looks. New advantages. New possibilities. A feeling that your station’s best work is just about to happen. 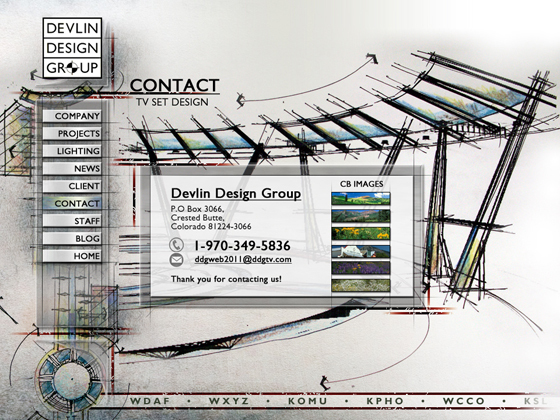 Devlin Design Group brings that feeling fully to life in their new Web site, debuting Feb. 15. The set design firm’s revised site captures the intriguing creativity behind the process of developing a new set, from concept to completion. 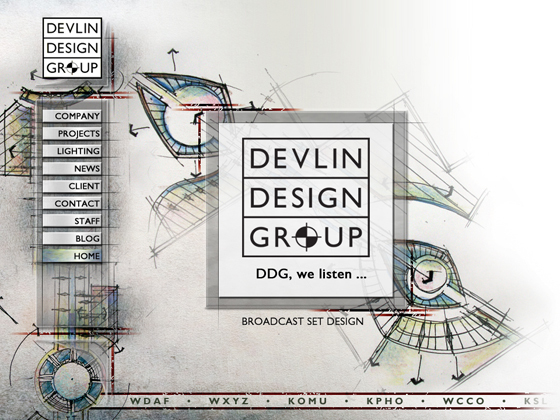 “The Web site was designed to showcase, in an easy-to-navigate fashion, our latest completed projects, along with a look into some of our conceptual works never before published,” said Dan Devlin, creative director of DDG. The site’s clean, highly-artistic feel is reminiscent of one of the most prolific creative periods in American art and music. In addition to full thumbnail comps of DDG’s latest work in a variety of markets, site visitors also get a glimpse into the creative birth of a set design with concept sketches and initial renderings. Plus, the site features some never-published concepts and drawings of DDG’s most innovative work. It’s a fascinating, never-before-seen look into the thought, creativity and passion that goes into your next eye-catching news set. Function definitely goes hand-in-hand with DDG’s new site. The navigation is intuitive and easy-to-use. 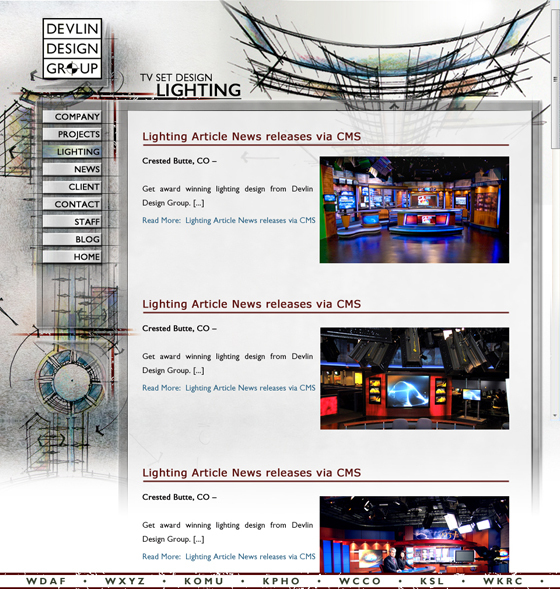 The extensive online gallery makes it easy for news and programming decision-makers to really get a feel for DDG’s experience, expertise and exciting designs.